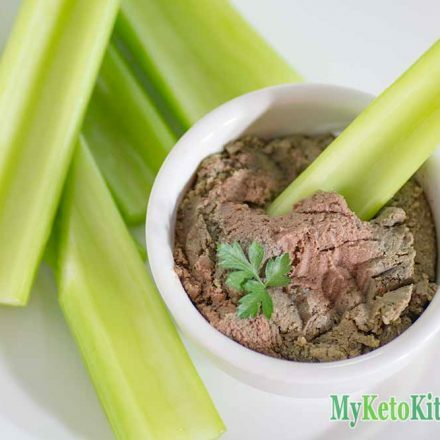 Impress your friends with this Low Carb Chicken Liver Pate, serve with celery sticks, cheese, pork rinds or your preferred low carb snack food. We love spreading savoury dips and pate on our Low Carb Flaxseed Crackers. Making pate can be a scary experience for some people, but it is really not that hard to make! Our low carb chicken liver pate can be cooked ahead and frozen too, it is a great idea to freeze portions in silicon ice cube molds and pop one out and allow to defrost for 15 minutes before enjoying. Cook bacon in a very large non-stick frying pan until crispy and set aside, leaving the bacon fat in the pan. Add the butter to the bacon fat, as well as the diced onions and fry until the onions are beginning to caramelize. Add in the chicken livers and brandy and saute for around 10 minutes, continually turning the livers, until the livers are just cooked through. The residue heat will continue to cook any underdone parts. Sprinkle some nutmeg and sage leaves over the top and gently mix in. Ladle the mixture into a food processor, crumble in the bacon and blend into a paste. Taste the blended mixture and add salt and pepper according to your preference. Pour the mixture into your desired airtight jar and leave to cool in the fridge for at least 40 minutes. When your pate is cool, it’s ready to eat. If you want to make a larger batch of Low Carb Chicken Liver Pate, simply adjust the serving amounts in our easy to use recipe card below. 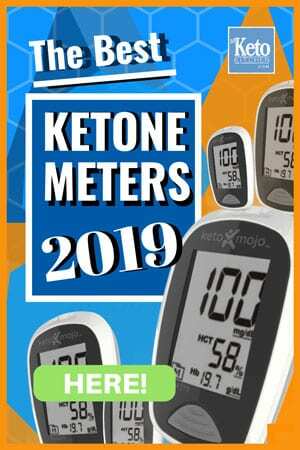 The measurements and ingredients will adjust themselves and all you have to do is follow the method. 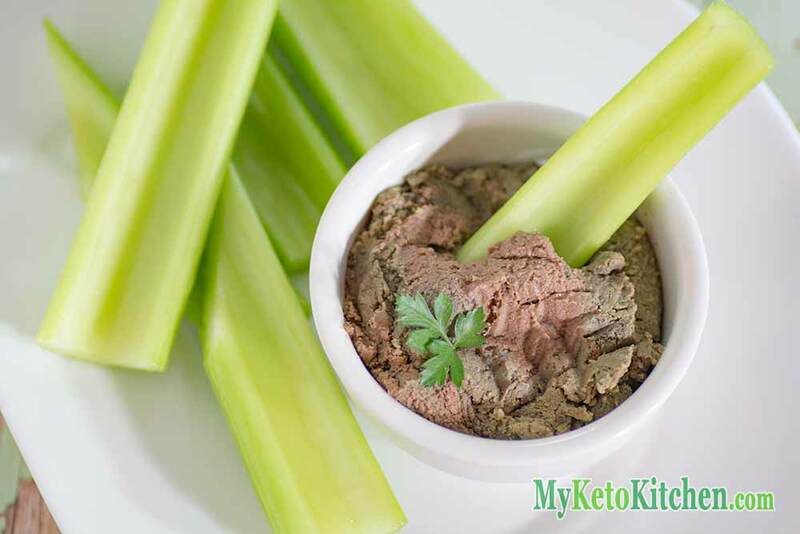 Impress your friends with this Low Carb Chicken Liver Pate, serve with celery sticks, cheese, pork crisps or your preferred low carb snack food. Cook bacon in a very large frying pan until crispy and set aside, leaving the bacon fat in the pan. Add the butter to the bacon fat, as well as the diced onions and fry until the onions are beginning to caramelise. Sprinkle the nutmeg and sage leaves over the top and gently mix in. Pour the mixture into your desired jar, dish or container and leave to cool in the fridge for at least 40 minutes. When your pate is cool, it's ready to eat. This is absolutely the ultimate!!! What could I swap the brandy for please ? You could remove it completely without any issue. If the pate is too thick when blending, just add a little warm water.